On 15th of February 2019 the annual Belgian Game Awards were hosted at 1 Up conference in Kortrijk. We were happy to attend these awards with a nomination for Trivia Switch in 2 categories: Best business and best Mobile/Handheld Game. We went on to win best Mobile/Handheld game of 2019. Since the release of Switch in 2017, we are very proud with what we’ve accomplished. Adding this award to the 800.000+ downloads we achieved in Belgium, we’re excited for the future of the game. Moving forward into different regions, Triangle Factory has now just released the UK version of Trivia Switch. Download Trivia Switch on Android. Download Trivia Switch on iOS. With the launch of iOS 11 on September 19, 2017, Apple made some huge waves in the augmented reality space by launching ARKit into the market. ARKit allows developers to build unparalleled augmented reality experiences for hundreds of million devices running iOS 11. Of course we were very excited to hear this news when the new platform was announced and immediately started building early prototypes using the beta version of the ARKit platform. 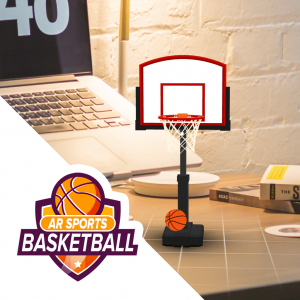 This gave birth to our first ARKit game, AR Sports Basketball, which was launched together with the launch of iOS 11 and was features by Apple as one of their “Amazing AR games”. After 6 months in and 13 million downloads in AR apps, It is great to see that AR Sports Basketball is still the #5 most downloaded ARKit-only game and #7 most downloaded ARKit-only app worldwide. 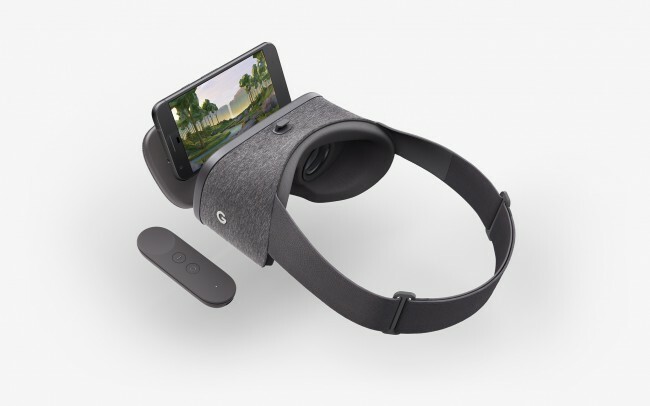 When attending the annual Game Developers Conference (GDC / VRDC) we got the opportunity to obtain ourselves a Google Daydream device including a Daydream-ready smartphone. We were very curious to see Google’s next steps in the VR market after the initial release of Google Cardboard in 2014. With more than 10 million Cardboards shipped, it was an interesting concept towards mobile VR and provided the first VR experience for many of us. Aside from that, it also left most people a bit disappointed (and motion sick) as it obviously is not able to provide the quality VR experience that leaves people coming back for more. Daydream is the next iteration in Google’s VR roadmap to tackle the biggest shortcomings of Cardboard. It is built into Android 7.0 Nougat and provides a platform with software and hardware specifications for manufacturers to create Daydream-ready phones. These phones can then be used together with the Daydream viewer and controller to provide a more practical and immersive VR experience. With built-in Daydream support in both Unity and Unreal, some ready made assets and an eager developer hungry for new tech, we were able to build a proof-of-concept in one day. The result is an architectural demo made in Unity that let’s you navigate through the environment and personalize your flooring using a Daydream controller. Currently our first impressions are very positive. In our opinion the controller is the greatest addition to the Daydream platform. Standard specifications, improved sensors, better and bigger screens are great, but if you don’t have an interesting and intuitive way to interact with the virtual world, VR gets boring pretty fast. It was something that we always found lacking on other mobile VR headsets like Gear VR or Cardboard. The Daydream 3-axis controller is definitely a good step in the right direction and we are curious to see how mobile VR will evolve in the future. Samsung just announced a controller of their own, so it seems that things are still moving fast in the VR market. We published a showreel, take a look! We are very proud to announce the launch of our new and improved website! With over 6+ years of experience building games and interactive 3D applications our website was in need of a big update. We have added a lot of new projects, so be sure to visit our portfolio to get an overview of our recent work. Furthermore, at Triangle Factory we strongly believe in the potential of upcoming virtual / augmented reality platforms and are currently investing heavily into research and development for these new platforms. 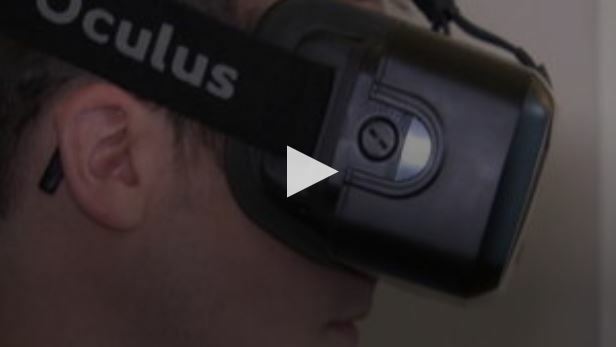 To learn more about this new technology, be sure to visit our VR page.